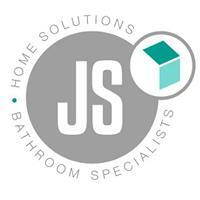 JS Home Solutions - Bathrooms, Kitchens based in Buntingford, Hertfordshire. Looking for a highly experienced bathroom fitter in Herts and Essex? Over 10 years’ experience, we believe attention to detail is key, as long as the work is completed on time and to a high standard, everyone's happy. All our references to date assure us that we are trustworthy, tidy, punctual and work to the highest standard!